Survival Rafts / Life Rafts	There are 27 products. 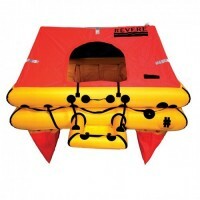 REVERE Coastal Compact 2 Person Life Raft in Valise - Ideal for coastal boaters. Easy operation, inflates in less than 30 seconds thanks to a self-contained CO2 inflation system. Small, light, and inexpensive but very high quality. US Coast Guard approved. 13 Lbs. MFG#: 45-CC2VThis item ships freight only. Cost will be calculated at Checkout. 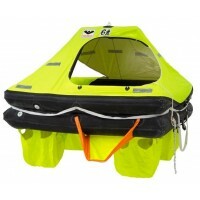 Coastal Compact 4 Person Life Raft, Valise - Ideal for coastal boaters. Easy operation, inflates in less than 30 seconds thanks to a self-contained CO2 inflation system. Small, light, and inexpensive but very high quality. US Coast Guard approved. 16 Lbs. MFG#: 45-CC4VThis item ships freight only. Cost will be calculated at Checkout. 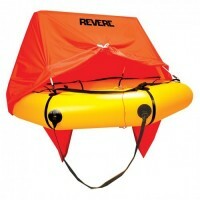 REVERE Compact 4 Person Life Raft w/ Canopy, Valise - Ideal for coastal boaters. Easy operation, inflates in less than 30 seconds thanks to a self-contained CO2 inflation system. Small, light, and inexpensive but very high quality. Canopy provides protection from sun, wind and water. US Coast Guard approved. 18.5 Lbs. MFG#: 45-CC4VPThis item ships freight only. Cost will be calculated at Checkout. 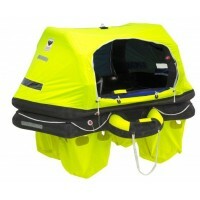 Coastal Compact 6 Person Life Raft, Valise - Ideal for coastal boaters. Easy operation, inflates in less than 30 seconds thanks to a self-contained CO2 inflation system. Small, light, and inexpensive but very high quality. US Coast Guard approved. 20 lbs. MFG#: 45-CC6VThis item ships freight only. Cost will be calculated at Checkout. REVERE Offshore Elite 8 Person Life Raft, Valise - The Offshore Elite has every bell and whistle possible. Lightest weight raft in its class starting at just 72 lbs! It offers the entire crew easy usage when facing the stress of a life-threatening situation as opposed to other liferafts that can be difficult to lift and transport. 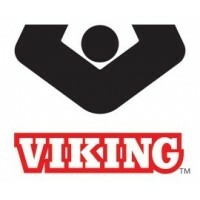 MFG#: 45-OE8VThis item ships freight only. Cost will be calculated at Checkout. 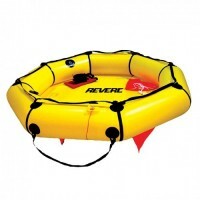 REVERE Compact 6 Person Life Raft w/ Canopy, Valise - Ideal for coastal boaters. Easy operation, inflates in less than 30 seconds thanks to a self-contained CO2 inflation system. Small, light, and inexpensive but very high quality. Canopy provides protection from sun, wind and water. US Coast Guard approved. 23 lbs. MFG#: 45-CC6VPThis item ships freight only. Cost will be calculated at Checkout. 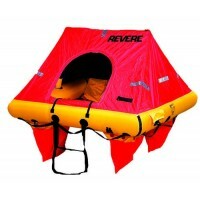 Revere Offshore Elite 4 Person Life Raft, with Valise - The Revere Offshore Elite has every bell and whistle possible. Lightest weight raft in its class starting at just 55 lbs! It offers the entire crew easy usage when facing the stress of a life-threatening situation as opposed to other liferafts that can be difficult to lift and transport when an emergency situation arises. USCG approval. MFG#: 45-OE4V*Free US Shipping! 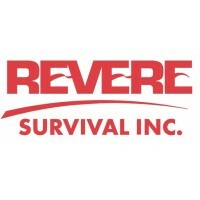 REVERE Offshore Commander 2.0 6 Person Life Raft, Valise - Durability and above all, safety. Requires service every 3 years, self-erecting arch canopy, fitted with weighted deep water ballast pockets to improve stability in rough sea conditions until search and rescue arreives. MFG#: 45-OC2-6VThis item ships freight only. Cost will be calculated at Checkout. 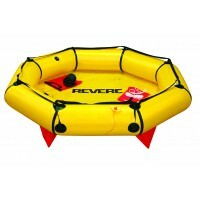 REVERE Offshore Commander 2.0 8 Container Life Raft, (no cradle) - Durability and above all, safety. Requires service every 3 years, self-erecting arch canopy, fitted with weighted deep water ballast pockets to improve stability in rough sea conditions until search and rescue arreives. MFG#: 45-OC2-8CFree US Shipping! 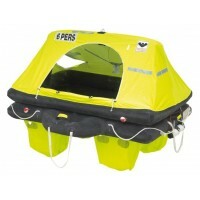 REVERE Offshore Commander 2.0 4 Person Container Life Raft, (no cradle) - Durability and above all, safety. Requires service every 3 years, self-erecting arch canopy, fitted with weighted deep water ballast pockets to improve stability in rough sea conditions until search and rescue arreives. MFG#: 45-OC2-4CThis item ships freight only. Cost will be calculated at Checkout. 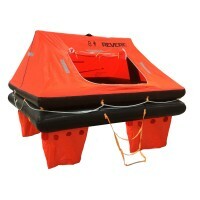 REVERE Offshore Commander 2.0 8 People Life Raft, Valise - Durability and above all, safety. Requires service every 3 years, self-erecting arch canopy, fitted with weighted deep water ballast pockets to improve stability in rough sea conditions until search and rescue arreives. MFG#: 45-OC2-8VThis item ships freight only. Cost will be calculated at Checkout. REVERE Offshore Elite 8 Person Life Raft, Container (no cradle) - The Offshore Elite has every bell and whistle possible. Lightest weight raft in its class starting at just 72 lbs! It offers the entire crew easy usage when facing the stress of a life-threatening situation as opposed to other liferafts that can be difficult to lift and transport. MFG#: 45-OE8CThis item ships freight only. Cost will be calculated at Checkout. The X-3 Zimar Shaft Zinc Anode 1" Diameter is hand poured using special high grade 99.995% zinc ingots, which ensures a higher quality zinc anode. 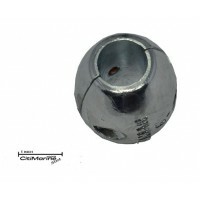 Save big on the best X-3 Shaft Zinc Anode 1" Diameter available. All Zimar Zinc Anode are made in the U.S.A, and meet all standards set forth by Mil-Spec A-18001K, Mil-Spec A-18001A, and Mil-Spec A-18001. MFG#: X-3..